Today's guest post is by my good friend Stephanie! She's the talented photographer behind Pink Pearl Photography. She also writes the blog Life as a Wife, where she posts about her crafting, cooking, and mommy adventures. She also has great party and date ideas! How cute is her Whoville Christmas Party? Or her Clue Date? Thanks for joining us today, Stephanie! This year I made some for my tree and some to give away. I love these little deer they fill me with Christmas memories from my childhood, and memories of my dear mother who always filled every holiday with cheer! 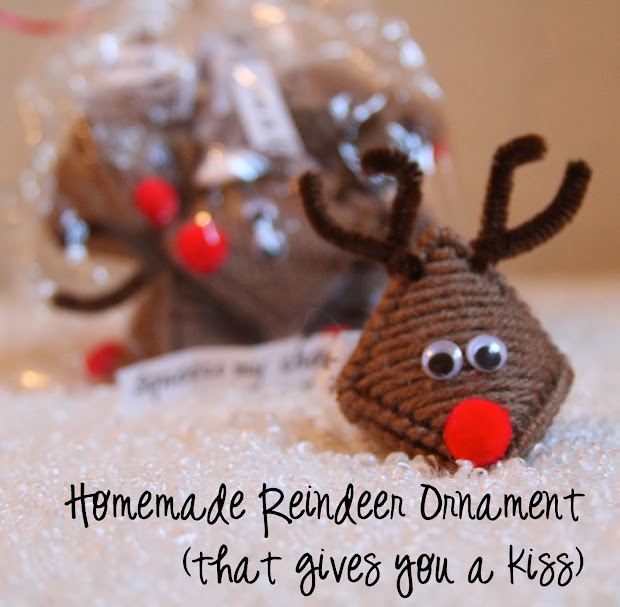 for instructions on how to make this ornament click here. Be sure to check out our previous Sew a Song of Christmas projects!